A few blogs ago, we discussed requests for production of documents and requests for admissions. In this blog we are going to discuss depositions. As always, we are dealing with the state courts in the State of Mississippi and therefore are looking the Mississippi Rules of Civil Procedure. Rule 30 deals with depositions. So you ask, “What on earth is a deposition?” It is simply the process of giving sworn evidence via oral testimony. In other words, when a party or witness is deposed, that person is placed under oath, swearing or affirming that they will tell the truth and nothing but the truth. Imagine if you will, a group of people sitting around a conference table. There is the party or witness being deposed. 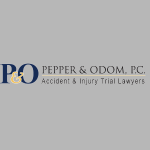 There are Attorneys: the defense Attorney represents the insurance company who has ample money, while the Person Injury Attorney represents people who cannot fight for themselves, these individuals are who the Law Firm of Pepper & Odom represent. The court reporter is also there and plays a very important role in that he/she records everything that is being said by the Attorneys and the party or witness being deposed. The party or witness being deposed will be placed under oath by swearing or affirming to tell the whole truth and nothing but the truth. Thus, being under oath giving sworn testimony is very serious. It is not a place to lie under oath; rather it is a place to tell nothing but the truth and the whole truth. Sometimes clients get nervous about depositions, but I have always told my clients to simply tell the truth and you have nothing to worry about. As a side note, I have always found that the truth will always come out the same again and again. You do not have to remember anything if you are telling the truth. Many times it is easy to tell if someone is lying during a deposition, for they have selective amnesia, meaning they remember a few details but not other important details, leave out details that they should have know, they are squirming in their seat, they appear to be very uncomfortable, they will not look you in the eye, and/or they will go around the world to answer a simple question and the question will not be answered after all of that hemming and hawing.